There's this whole "Life comes at you fast" shtick that folks on Twitter use to point out people's hypocrisy. Suddenly Democrats care about federalism when it comes to immigration law enforcement! Suddenly Republicans don't care about federalism when it comes to immigration law enforcement! I try not to engage in the shtick too much, because it feels more like point-scoring than actual debate. But I can't help but bring it up right now. Yesterday, a story about federal surveillance abuses made the rounds in the conservative parts of Twitter I pay attention to, not the tech-security circles where I usually see such discussions. The story, via a media outlet called Circa, documents a recently released report from the Foreign Intelligence Surveillance Court (FISA Court). The report features examples of the FBI passing along private data it collected without warrants to people who should not be seeing it. It's an important story, and it's great that it's getting attention. But what it reveals is well-known to anybody who has been paying attention to the surveillance disclosures and FISA Court document releases that have slowly been surfacing since Edward Snowden started leaking. The federal government is accessing and spreading around more information about U.S. citizens than we realize. That's what Snowden's disclosures were about, right? 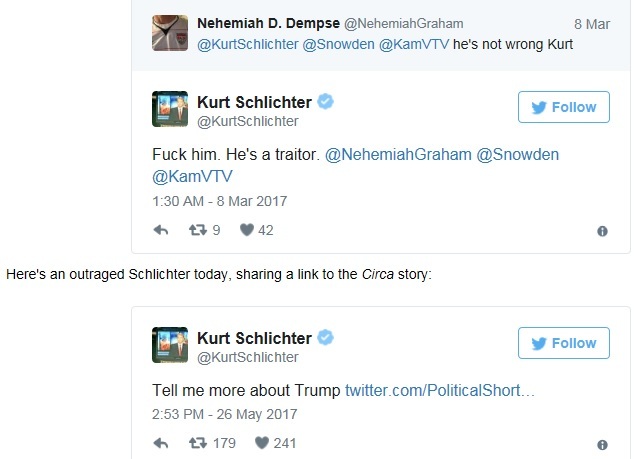 If you think the intelligence community and the deep state is abusing its powers to go after Trump and his allies for political reasons, guess what: This is exactly the consequence that Snowden himself warned of! A major criticism of the expansive surveillance state has always, always, been its potential for abusive snooping on citizens, whether it's Black Lives Matter or a militia. The problem cuts across the political spectrum. 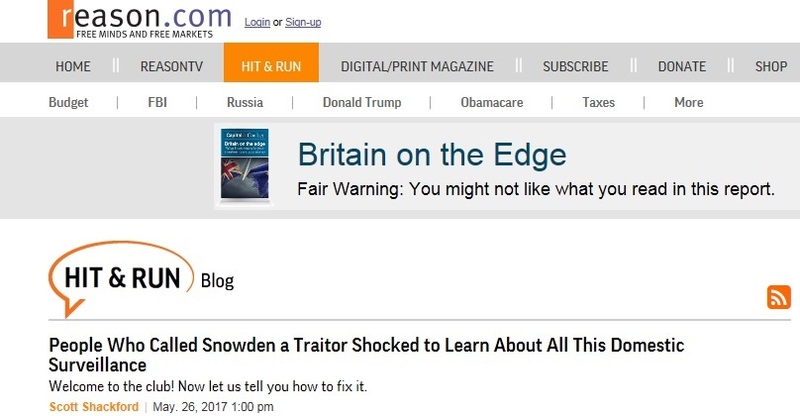 Perhaps people shouldn't have been so quick to call Snowden a traitor. Perhaps they could have spent more time thinking about the actual consequences of the powerful surveillance state, and maybe all those previously reported FISA Court disclosures that helped inform the very story they're passing around now. But regardless of how folks like Schlichter got here, welcome to the surveillance skeptic club! Now that you're here, you should know that there's a very important congressional vote coming up. Section 702 of the FISA authorizations sunsets this year, and Congress has to act. Right now, tech companies are lobbying for changes that would provide more oversight on the National Security Agency and limit the feds' ability to collect information without warrants within in the U.S.
One problem: The White House has said that it doesn't want any reforms to Section 702. They want to leave government's surveillance powers as they are. If you're a Trump supporter who believes that he's being targeted by the intelligence community for political reasons, well, here's a way to reduce the possibility that future Democratic administrations will behave the same way. Civil rights and privacy advocates want to see Section 702 either reformed or eliminated in order to protect Americans' privacy. Consider joining the cause now that you're more familiar with how this surveillance actually plays out domestically. 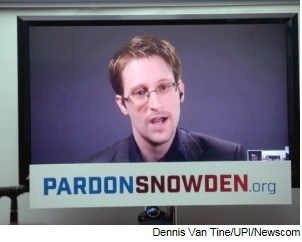 And maybe, just maybe, reconsider your views of Snowden's whistleblowing.